While most discerning shooters select Criterion barrels for their excellent reputation for accuracy, a variety of different local government agencies utilize them for their high level of durability. Sage Dynamics showcases this facet in their recent review of the Vortex UH-1 Holographic Optic. 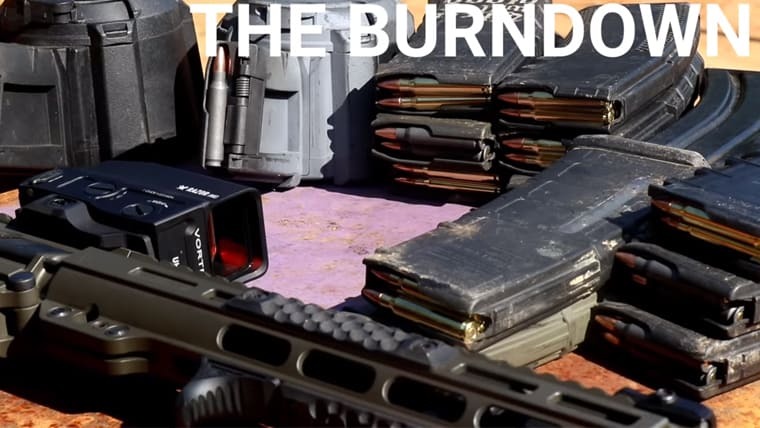 Mounted to a suppressed American Defense MFG UIC 2 machine gun, Aaron dumps 500 rounds through the rifle and drops it from a second story balcony to confirm consistent function of the optic. Both the UIC and UH-1 passed these tests with flying colors. This entry was posted in Articles, Media Reviews, Reviews. Bookmark the permalink.